The Pittsburgh Steelers earlier in the season elected to promote rookie draft pick Anthony Chickillo from the practice squad to the 53-man roster, first, possibly, because of an injured thumb for James Harrison, but also because his special teams capability made him more valuable than Caushaud Lyons, the seventh defensive lineman. The two essentially switched places, with Lyons never seeing a helmet during any of the games on which he was on the 53-man roster. Since the call-up six weeks ago, Chickillo has spent the last four games with a helmet during games, contributing on special teams. Since that time, the sixth-round outside linebacker has accounted for two special teams tackles, but more importantly, he made the Roosevelt Nix tackle on the Raiders returner count by being the one to recover the fumble after the first-year fullback was able to jar the ball loose. Chickillo was not the first player to the ball, nor the first Steelers player to have the opportunity to recover it, but he was the one who displayed the best awareness and the instinct to secure the ball first and foremost. The Steelers have constructed their roster in 2015 in such a way that they have wound up for most of the season with an anomalous 10 linebackers amongst the 53 eligible to dress for games, something that they had only briefly 20 years ago, and not at any point since. Of course, Chickillo is decidedly 10th on that list, though not without a purpose for the future. After all, Harrison, at 37 years of age, is very near the end of his career, which may have as few as seven games remaining. And 2012 first-round draft pick Jarvis Jones could be playing his final season in Pittsburgh in 2016. Hypothetically at the moment, of course. But part of the reason that the Steelers chose to call up Chickillo from the practice squad is unquestionably because they believe that he can be an asset to the team in the future in an aspect that includes contributions on the defensive side of the ball. In fact, by the way that he answered certain questions, or rather declined to answer, after he was originally called up suggested that there were teams showing interest in the former college defensive end. The Steelers may have ended up promoting him anyway. But he has gotten the opportunity to see the field due to injuries sustained by Ryan Shazier and Terence Garvin, both key special teams contributors. At least one of them has missed each of the last four games, during which Chickillo has been active. Shazier has been back for a couple of games now, but Garvin has remained out. He may be held out another game, especially considering the Steelers have a week off after Sunday’s contest. Regardless of whether or not the rookie goes back to the inactive list, he has shown in his brief stint that he is deserving of the roster spot, a view that many of us held during the preseason. He has contributed positively to the team’s success on special teams after they force-fed him virtually every snap they could in the preseason, and it has paid off. PITTSBURGH, Pa. â”€ The Steelers have promoted linebacker Anthony Chickillo to the active roster, the team announced today. Chickillo made the team’s initial 53-man roster before being released on September 6 and being signed to the Steelers’ practice squad on September 7. He was drafted by Pittsburgh with the team’s second of two sixth-round selections (212th overall) in the 2015 NFL Draft. Chickillo started 47-of-50 games at the University of Miami and tallied 170 tackles, 15 TFLs, 15.5 sacks, two forced fumbles, five fumble recoveries and five pass breakups in his career. To make room on the roster, the Steelers released rookie defensive end Caushaud Lyons. Pittsburgh Steelers rookie outside linebacker Anthony Chickillo has arguably been the biggest riser since the start of training camp. If not the biggest, certainly among the few who have seen their stock rise most significantly. When the pick was first made, many wondered whether he was drafted to play defensive end or outside linebacker, even though the Steelers and position coach Joey Porter stated from the beginning that they wanted him on the edge and to drop some more weight in order to get him where they want him to be physically. Because of the uncertainty over whether or not he would be able to make the transition from what was largely a 3-4 defensive end role in college to a 3-4 outside linebacker at the professional level, many were skeptical regarding the selection, but—though it is still relatively early—he could have the Steelers doing something you rarely see in Pittsburgh. Should Chickillo end up making the 53-man roster, it will likely mean, barring injuries, that the Steelers have chosen to carry 10 linebackers into the regular season, which is something that I cannot recall them doing in recent memory. But there are many signs that point to them carving out a spot for him on the roster, in spite of the fact that they actually only carried eight linebackers initially last year, with only three outside linebackers, before injuries necessitated that they do otherwise. The fact that the Steelers have been working him actively on both the left and the right side is, to me, pretty telling that they think he has the ability to stick around, increasing his versatility, and thus his value. He has played both left and right outside linebacker in games already. That also speaks to his level of knowledge about not just the defense, but the game itself, which should not be surprising as a third-generation football player. He has had a tremendous start in large part because his intelligence for the game is already at a level that is uncommon for first-year players. Perhaps the most crucial detail, however, is the fact that the Steelers have been active in getting him on special teams. In the first preseason game alone, he worked on every special teams unit bar the field goal/extra point squad. He covered kicks and punts and also served on the return units. Given that special teams is not something that he did in college, and the fact that he actually showed reasonably well for himself this early on, has to be encouraging with respect to his odds of staying on the roster. A few years ago, the Steelers force-fed another rookie outside linebacker, Adrian Robinson, special teams duties in order to justify keeping him on the roster. It’s one thing to tell you all this, however, and another thing to show you. In truth, I’m battling a bad ear infection at the moment that has limited my workload and ability to review game tape, but I plan to have a more comprehensive look at what I’ve talked about above later in the week, explaining why Chickillo is primed to stay on this roster. As fans, often times all that is talked about and discussed are results. When you throw rookies into the conversation it can become dicey as their results are certainly not mind-blowing. 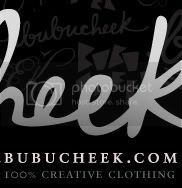 With the two rookie outside linebackers for the Pittsburgh Steelers, Bud Dupree and Anthony Chickillo, the learning curve from college to the NFL has certainly been noticeable, but when you listen to their teammates and position coach, all is not lost for these young players. Through two preseason games Dupree has accounted for 2 solo tackles and 1 assist, equating to 3 total tackles. Chickillo has accounted for 2 solo tackles. That is the end of the stat sheet for the rookies after two games, but all is not lost for the duo. "They're not making any mental errors. They're definitely working on things and getting better everyday. They're getting off the ball fast and making sure their games are well-rounded." OLB Arthur Moats added. As for their position coach, Joey Porter talked about putting pressure on the young linebackers. "I don't put pressure on them because I know what they are - they're rookies. Now what they did in college and what we are going to ask you do to here is totally different; it's going to be greatly different. What you did in college was good, because it was college. But this is you're playing for your livelihood now; you're playing for a whole different reason - we're chasing world championships here. And they're going to be scrutinized enough by the media to where I don't have to. They'll know where they fit by how they play. And they know the legacy (of Steelers' outside linebackers) they came into. And they know what the job they signed up for is. And the pressure that you guys put on them is going to be enough; I don't have to add no extra pressure to them. I just try to tell them, ‘Just play football and play it hard." It is difficult to evaluate young players like Dupree and Chickillo with such limited repetitions, but it is clear to see the two haven't had the smoothest transitions to the professional level. Chickillo, who started out as the training camp darling, hasn't been as productive as many hoped in game action, and Dupree hasn't shown the burst which made him the top overall draft pick for the Steelers in the 2015 NFL Draft. Often times the mental aspect of the game can slow down the physical aspect. Despite fans often unfair expectations for rookies coming into the NFL, people within the Steelers organization seem pleased with where these two rookie outside linebackers are currently in terms of their progression. It may not have shown on the stat sheet yet, but certainly could in time. The transition from the college game to the NFL isn't an easy one, and Anthony Chickillo and Bud Dupree are experiencing this first hand. The next logical question for the preseason remains: Which player will have their break out party first? LATROBE -- July football doesn't normally involve Mike Tomlin acknowledging a rookie's performance, or even a rookie. But when Tomlin was asked if sixth-round pick Anthony Chickillo showed him anything Thursday, Tomlin said, "Good work." The outside linebacker caught Tomlin's eye during the backers-on-tight ends drill. Chickillo bested Cameron Clear, a 270-pound rookie tight end who just had his way with first-round pick Bud Dupree. In the next period, a run-heavy team scrimmage, Chickillo seemingly dominated. In his series with the second team, Chickillo made a tackle-for-loss and another tackle at the line as he spent plenty of time in the opposing backfield. In a later appearance against the first team, Chickillo beat Marcus Gilbert inside and had a bead on Le'Veon Bell, but Bell cut back sharply to the vacated side as Chickillo learned an NFL lesson. The converted 4-3 and 3-4 defensive end from Miami also caught the eye of Steelers broadcast analyst Tunch Ilkin, who, during a live spot for Steelers Nation Radio, said, "If you came here knowing the Steelers drafted an outside linebacker in the first round, and these guys weren't wearing numbers, you would think that first-round pick was Anthony Chickillo." PITTSBURGH (93-7 The FAN) – Rookie Pittsburgh Steeler outside linebacker Anthony Chickillo is focused on the little things during organized team activities this Spring. The 6th round pick out of the University of Miami is aware of how complicated the Steelers system can be. In addition to the studying and reading of the playbook, Chickillo also plans on getting some help from the veterans on the team. Chickillo’s father Tony, and grandfather Nick, played football at the University of Miami as well as spent time in the NFL. The third generation football talent started 47 games in college with the Hurricanes. He accumulated 170 tackles and 15.5 sacks during his career. Sixth-round draft pick Anthony Chickillo also has a transition to make from college football to the NFL. He will be learning the craft of the 3-4 outside linebacker with the Steelers this year, a big switch from the defensive end position he played in college. But linebackers coach Joey Porter appears confident that Chickillo will develop into a crucial player for the team. After the team drafted Chickillo earlier in May, Porter said, "You can never have enough pass-rushers in the way the game is being played now from the outside linebacker position. I think he's going to add a lot of depth to us. He gives us some switch-up opportunities to move us around." The Pittsburgh Post-Gazette's Gerry Dulac said last week that Chickillo "looks like one of those guys you just can't cut." Chickillo is certainly a hard worker. But as Dani Bostick of Beyond the Steel Curtain notes, Chickillo's odds to make the roster hinge on his ability to drop into coverage, something the Steelers ask of their outside linebackers. The better he gets at this skill the greater the odds he makes the 53-man roster. In assessing the Steelers' shortcomings on defense prior to the NFL Draft, general manager Kevin Colbert emphasized the lack of a pass rush. The Steelers selected Kentucky outside linebacker Bud Dupree in the first round, hoping he will apply pressure off the edge. Then they used the 212th overall pick to add depth at the position. The Steelers gambled by selecting Anthony Chickillo, who spent all four years at Miami (Fla) playing defensive end. He distinguished himself as run defender instead of a pass-rushing specialist. On Monday, the Steelers signed the 6-foot-3, 267-pound Chickillo, who is confident he will effectively transition to outside linebacker, where the Steelers were inconsistent last year. “I'm just going to work hard every day and do whatever they asked me to do,” said Chickillo, who had 47 starts with the Hurricanes. Chickillo is flexible, but he was clear during his workouts for NFL scouts that he aspires to play outside linebacker. The Steelers were accommodating, opting to overlook his lack of experience at the position. Colbert said he has no reason to believe Chickillo can't adjust to the new position and the change of pace in the NFL. But several scouts were not as impressed with Chickillo's technique or skills off the line of scrimmage. At best, Chickillo might be a capable run defender, but he “may never be a great pass rusher,” NFL Draft analyst Mike Detillier said. Steelers linebackers coach Joey Porter thinks differently. The Steelers' pass rush was a weakness last season. They had only 33 sacks, and 7 1⁄2 came from retired outside linebacker Jason Worilds and another 5 1⁄2 by 37-year-old right outside linebacker James Harrison. If numbers are telling, then Chickillo didn't impact the pass rush in Miami's 3-4 alignment. The Hurricanes were 68th nationally among FBS programs with 27 sacks, including three by Chickillo. Perhaps the biggest challenge facing Chickillo is pass coverage. He has not had to do that since playing at Alonso High School in Tampa, Fla.
No one seems to have more confidence in Chickillo than Porter. “I've seen him rush from a lot of different positions, inside and out,” Porter said. “(Outside linebacker is) something that won't probably come naturally to him. But it didn't come naturally to me when I played defensive end in college. The Steelers, though, figured they fixed their pass rush when they drafted Jarvis Jones in the first round in 2013 and defensive end Stephon Tuitt in the second round last year. Together, they have four career sacks — one more than Chickillo had last year. The Steelers have reached deals with two more draft picks, signing Ohio State cornerback Doran Grant (Round Four) and Miami (Fla.) outside linebacker/defensive end Anthony Chickillo (Round Six), the club said Monday. 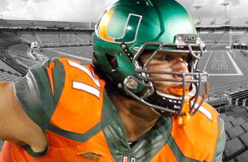 The 6-foot-3, 267-pound Chickillo started all four seasons for the Hurricanes, recording 170 tackles and 15.5 sacks. He will get a look at outside linebacker in Pittsburgh’s 3-4 scheme. Grant and Chickillo are the second and third draft selections to sign with Pittsburgh. The Steelers signed Central Michigan defensive tackle Leterrius Walton (Round Six) on Friday. Pittsburgh has five unsigned draft picks. It’s likely that Ereck Flowers will be the first Hurricanes player chosen in the NFL draft, which begins April 30. It’s clear the Carolina Panthers, who own the 25th pick, really, really like him. Flowers, the 6-foot-6, 324-pound offensive tackle who left UM after his junior season, fills an immediate need for the Panthers on the right side and could eventually move to the left side. He interviewed with Carolina at the NFL combine, visited the team and worked out for top brass. The team also sent several representatives to watch him at the Hurricanes’ April 1 pro day. The Charlotte Observer even flew their beat writer to do a profile on him (though as usual, Flowers didn’t talk). If he’s available when Carolina picks, he’ll probably join Cam Newton and Kelvin Benjamin. But several analysts think he might not be. In the slew of mock drafts we found online, Flowers is slotted as high as No. 9 overall. FoxSports.com’s Peter Schrager has him going at that spot, to the New York Giants. Click here to read what Schrager, who has no other Hurricanes in his two-round mock, wrote about Flowers as well as the rest of the proCane potential draft picks by Matt Porter of the Palm Beach Post! Miami DE Anthony Chickillo worked out exclusively as an OLB during his pro day and struggled, according to TFY Draft Insider's Tony Pauline. "He was stiff and looked poor trying to backpedal in coverage drills," Pauline wrote. Unfortunate news for a prospect some had seen as a sleeper. The star-crossed Chickillo was miscast as a 3-4 defensive end in college but appears to have miscast himself as an outside linebacker for scouts. The 6-foot-3 1/8, 261-pounder, a former five-star prospect, is a 4-3 DE at the next level. Who to watch: Offensive tackle Ereck Flowers will headline a talented group of Miami players on Wednesday in Coral Gables. Flowers recorded 37 repetitions of 225 pounds on the bench press at the NFL Scouting Combine, the most of any player, and is projected to be a first-round pick. Wide receiver Phillip Dorsett was expected to be in the running for the fastest 40-yard dash time at the combine, but he finished in third with a 4.33. Dorsett has been clocked as fast as 4.18. Also keep an eye on: RB Duke Johnson, TE Clive Walford, LB Denzel Perryman, DE Anthony Chickillo, CB Ladarius Gunter and G Jon Feliciano. Miami DE Anthony Chickillo is "a tough kid who will surprise people," predicts NFL Media analyst Charles Davis. The analyst added that Chickillo was an "absolute terror in the East-West Shrine Game." We can understand why a sect of evaluators believes Chickillo is a sleeper. He didn't post much in the way of stats in college, but was miscast as a 3-4 defensive end. The 6-foot-3 1/8, 261-pounder is a former five-star prospect who ran an impressive 4.77 40-yard dash with a 10-yard split of 1.59 seconds at the combine. "Someone is going to get a gem in the third or fourth round," Davis previously said. NFL Media analyst Mike Mayock said Miami DE Anthony Chickillo has "got a better get-off than people understand." Chickillo didn't provide much production in college, but he was miscast as a 3-4 defensive end. The 6-foot-3 1/8, 261-pounder is a former five-star prospect who ran an impressive 4.77 40-yard dash on Sunday with an impressive 10-yard split of 1.59 seconds. "Someone is going to get a gem in the third or fourth round," NFL Media's Charles Davis said. Eight Miami Hurricanes are making the pilgrimage to Indianapolis this week — eight players eyeing future dreams and envisioning the performances of their lives at the 2015 NFL Scouting Combine. 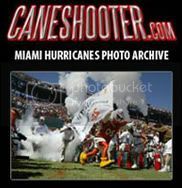 Despite UM’s 6-7 record, the Hurricanes had enough talent for their eight standouts — defensive end Anthony Chickillo, wide receiver Phillip Dorsett, offensive linemen Jonathan Feliciano and Ereck Flowers, cornerback Ladarius Gunter, running back Duke Johnson, linebacker Denzel Perryman and tight end Clive Walford — to be invited to the Combine most coveted by players and NFL executives alike. 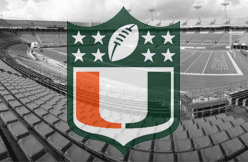 Last year, of the five Hurricanes invited (Seantrel Henderson, Allen Hurns, Brandon Linder, Stephen Morris and Pat O’Donnell), three were drafted. This year’s NFL Draft is April 30-May 2. Feliciano and projected first-round prospect Flowers leave Tuesday for Indy, as athletes by position groups are staggered throughout the week and undergo medical exams, team interviews, psychological testing and an array of performance drills. Dorsett, a Fort Lauderdale St. Thomas Aquinas graduate who was projected by analyst Mel Kiper Jr. to be drafted late in the first round, said he will run the 40 on Saturday, with the NFL Network providing live TV coverage. Johnson, UM’s all-time rushing leader with 3,519 yards, said his combine goal is “to be myself, have fun and show who I am on and off the field — not only in football but when it comes to interviews. Johnson, Dorsett and Perryman have continued training at UM with strength and conditioning coach Andreu Swasey — and a bevy of other Hurricanes, including former Canes and NFL players such as Andre Johnson, Jimmy Graham, Lamar Miller, Olivier Vernon, Travis Benjamin and Brandon Harris. Several other Canes seniors, who weren’t invited to the NFL Combine, will compete on April 1 at UM’s Pro Timing Day. Those include quarterback Ryan Williams, center Shane McDermott, defensive tackle Olsen Pierre and linebacker Thurston Armbrister. But for the chosen eight, the fun begins this week. “It’s real important,” Perryman said. “You’re on national television. You have all the scouts, head coaches and general managers out there seeing what you can do. But there’s no reason to get nervous. Eight future proCanes received invitations to the NFL Scouting Combine, the Post learned. Among them are six seniors – defensive end Anthony Chickillo, wide receiver Phillip Dorsett, offensive lineman Jon Feliciano, cornerback Ladarius Gunter, linebacker Denzel Perryman and tight end Clive Walford of Glades Central High – and two underclassmen who declared for the NFL draft. Running back Duke Johnson and offensive tackle Ereck Flowers, both juniors, will be in Indianapolis from Feb. 17-23. During the game, Chickillo was interviewed on the sideline, and when asked what he wanted to accomplish on the day his response was, “I want to show people I’m more athletic than they think I am”. Well Anthony, consider that mission accomplished. Before this week, I was unimpressed by Chickillo and his lack of production at Miami. I questioned his athleticism and lack of a position in the NFL. After seeing his performance, I fully believe Anthony Chickillo will be a valuable DE in the NFL. I think he needs to be in a 4-3 scheme to fully utilize his talent, but Chickillo showed a get-off and motor that just didn’t show up on game film from Miami. Mike Mayock raved about Chickillo all day, mentioning how Chickillo had a much better burst than originally thought. The analysts also talked about how impressive he was during the week of practice, and how there were numerous “ooh-aah” moments when Chickillo would shoot off the line of scrimmage. Chickillo will hear his name called on draft day, and the 4th round is now a realistic possibility. Miami senior DE Anthony Chickillo "showed better-than-expected initial burst and closing speed" at the Shrine Game, observed CBS Sports' Rob Rang. Amongst the small group that gained an uptick in stock in the game itself, Chickillo is near the top. In Miami's two-gap, 3-4 scheme, Chickillo was given the thankless task of occupying blockers so that his linebackers could make plays. Chickillo was a 4-3 defensive end on Saturday, and the results were promising. "After signing at Miami as an extremely high regarded prep, Chickillo wasn't terribly productive at the collegiate level," Rang wrote. "He projects nicely as a rotational defender in the NFL, however, as he has nose for the ball, plays with a terrific motor and, as he showed in this game, has position and scheme versatility." CBS grades the 6-foot-4, 275-pounder as a high-Day 3 prospect. Miami DE Anthony Chickillo: Chickillo (6-foot-4, 275 pounds) was a five-star prospect and a consensus national top-25 recruit in the 2011 recruiting class, one that also included Jadeveon Clowney, Ha Ha Clinton-Dix and Sammy Watkins, who were first-round picks in the 2014 draft. (Chickillo is one of two five-stars from the 2011 recruiting class in the Shrine Game; the other is Texas RB Malcom Brown.) Chickillo was a four-year starter at Miami, but never lived up to the recruiting hype. He had five sacks as a freshman in 2011, but that ended up being his career-high, and his total dropped every season (four in 2012, 3.5 in '13 and three this season). Still, he was a valuable player for the Hurricanes known for his high-revving motor and ended up being better against the run than was expected. Chickillo showed off his relentlessness and tenacity in almost every drill this week. "I can see him being a mid-round pick who will be around a long time," Jeremiah said. Anthony Chickillo, Jon Feliciano and Shane McDermott will play in the East-West Shrine Game (4 p.m. Saturday, NFL Network). Feliciano and McDermott (of Palm Beach Central) will play for the East team, while Chickillo is on the West roster. Olsen Pierre will play in the NFLPA Collegiate Bowl as will UCLA’s Malcolm Bunche, a former Cane (4 p.m. Saturday, ESPN2). Team practices will be televised Wednesday and Thursday on ESPNU. Phillip Dorsett, Ladarius Gunter, Denzel Perryman and Clive Walford (Glades Central) will play in the Senior Bowl (4 p.m. Saturday, Jan. 24, NFL Network). Miami senior DE Anthony Chickillo is more of a "run stuffer than pass rusher and projects as a rotational end," according to CBS Sports' Dane Brugler. "The first three-generation student-athlete at Miami, Chickillo arrived in Coral Gables as a top recruit, but his senior game tape looks very similar to his performance as a true freshman. He is more of a run stuffer than pass rusher and projects as a rotational end," Brugler wrote. Chickillo, a former five-star recruit, has started almost every single game Miami has played during his four years on campus. CBS grades the 6-foot-4, 275-pound Chickillo as a high-Day 3 prospect. The 2015 NFL Draft is still several months away, but with the Miami Hurricanes’ season complete it can’t hurt to take a peek at some of their intriguing pro prospects. The Canes might’ve finished the season with a subpar 6-7 record, but it appears there’s a solid crop of incoming NFL talent coming out of Coral Gables. Six players are projected to go in the first four rounds, according to CBS Sports rankings, which is run by NFL Draft Scout. It also wouldn’t be a surprise to see a player like Dorsett, blessed with superhuman speed, climb up the draft boards after what should be a dynamic performance at the NFL Combine or Miami’s Pro Day. Defensive end Anthony Chickillo, center Shane McDermott, and offensive guard Jon Feliciano are projected to go in the sixth round or later, while many scouting services expect 9-10 Canes to get drafted overall. In Todd McShay’s first mock draft on ESPN, he projected both Flowers and Perryman to go in the first round. For comparison’s sake, projections were pulled for in-state ACC rival and powerhouse, Florida State. They’re expected to have 10 players go in the first four rounds, but this figure assumes undecided underclassman Eddie Goldman, Ronald Darby, and Roberto Aguayo declare for the draft. So although the Canes aren’t expected to churn out quite the same quality and quantity of NFL players this season as the Noles, talent is not as much of a scarcity as Miami’s 6-7 record would seemingly indicate.